If your roof has started showing signs of damage, it may be time for a professional roof assessment. Whether you’re noticing curled shingles, black spots, or rusty sections, it’s essential that you take the steps necessary to understand and – more importantly – address the damage that you’re seeing. Thankfully, Wharry Engineering’s team of educated, knowledgeable experts can help you. With the ability to identify common roofing problems, our team can quickly assess your situation and then work to develop lasting, effective solutions. We have years of experience helping both home and business owners protect their properties and will strive to ensure that your building – and its occupants – are secure. Your roof is your building’s first line of defense against moisture. 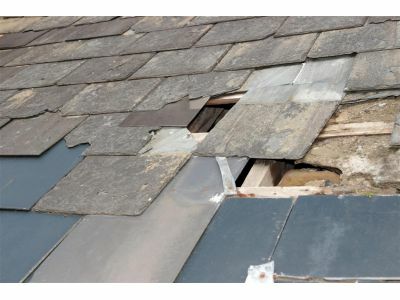 Over time, however, the elements can take a toll on your roof’s components. Shingles may begin to peel or curl. Rot may lead to a buildup of algae or mold. Rust may creep around the perimeter of the roof. If you’ve noticed any of the telltale signs of roof damage, it is absolutely critical that you schedule a professional roof assessment today. Delaying your assessment can allow the damage to spread and – in some cases – can lead to catastrophic failure. At Wharry Engineering, we are committed to providing home and business owners with the most comprehensive roof inspection, consulting, and assessment services available. Taking immense pride in our ability to assist our clients in protecting their properties, we have earned a reputation for our thorough approach and cost-effective, long-term solutions. If you’ve noticed that your roof is looking a little worse for the wear, we encourage you to reach out to us today, discuss your issues, and let us help you ensure that your roof – and your building – is afforded the best protection possible.